After purchasing a license you will receive a "key file" to convert Printfab to the full version. Important: License key files are non-refundable. 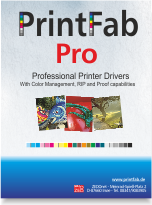 Please install the PrintFab 30 day trial version that is available on the download page to verify compatibility with your computer and printer. Not sure which version you need? See the feature comparision table. 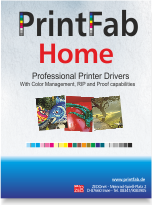 High-Quality printer driver for the advanced home user and the ambitious photographer. High-Quality printer driver with additional functions for advanced users like designers, photographers and pre-press business.